I'm finally getting around to typing up this long overdue review! 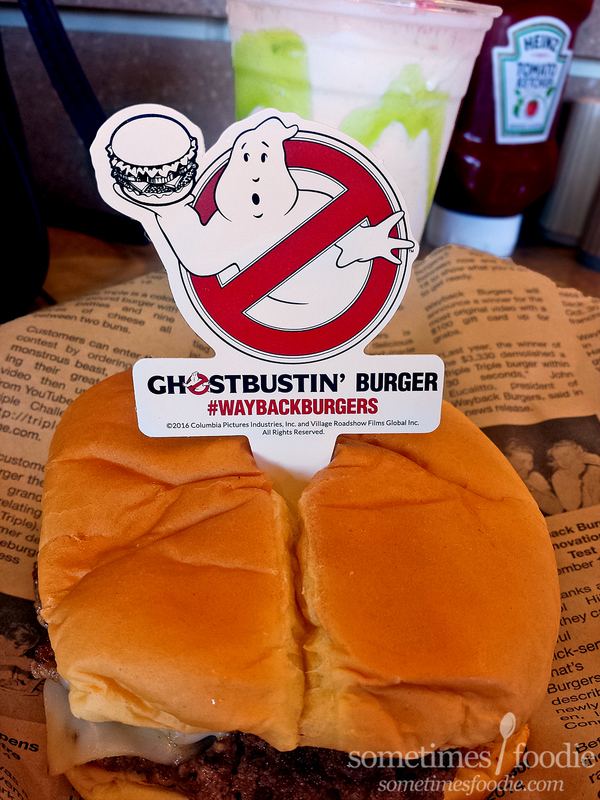 Nearly 2 months ago Dinosaur Dracula posted his review of the Ghostbusters themed menu offered at Wayback Burgers. Being a huge nerd of all things Halloween-ie, and a fan of the movies, I ran right out and placed an order. The promotional menu came out in early September, which was a really bizarre choice. At that time the new movie was no longer playing in (most) theaters and it wasn't yet available on DVD or Blu-Ray, so I'm not entirely sure what this tie-in was promoting. Come to think of it, I didn't see any tie-ins with the new movie mentioned anywhere on the promotional materials posted in the shop, so was it just promoting the Ghostbusters brand? No matter the rhyme or reason, Ghostheads and nerds like me are happy this exists. So it's not as spicy as you might expect it to be, but it's still really yummy! 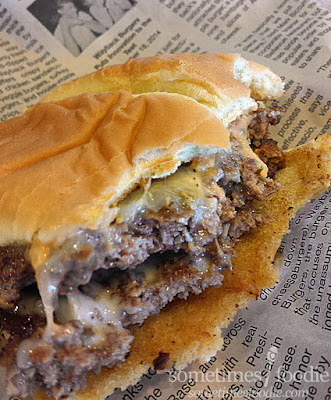 The patties were juicy, the cheese had a little kick and added some flavor, and the ghost sauce's heat kept me coming back for more. When it comes to fast food novelty burger chains, Wayback is probably my favorite, I feel like their offerings are more unique than other similar chains (like Five Guys) and I love that they do these nifty novelty menu items. 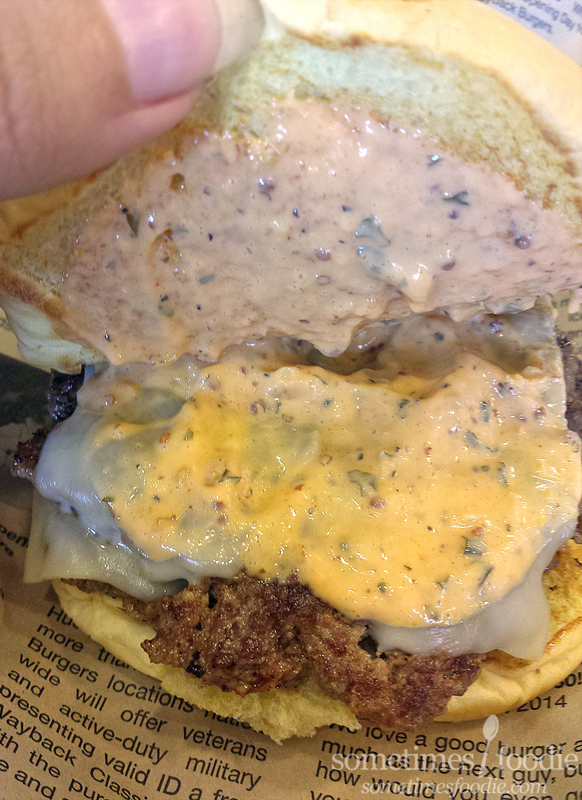 Sure, it's novelty burger, but I really enjoyed it! Definitely buying a few more today on my way home from work and I'll be sad when it finally disappears from the menu. To wash down that burger Wayback offers a nifty Stay Puft Marshmallow Slime shake! 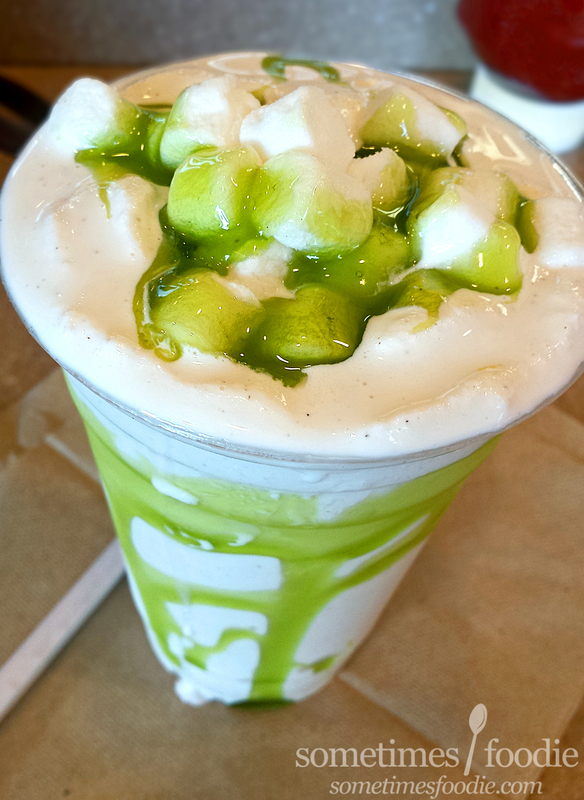 Look at all the green gooey goodness. Just looking at this is raising my insulin levels, but it's Halloween and I don't care. 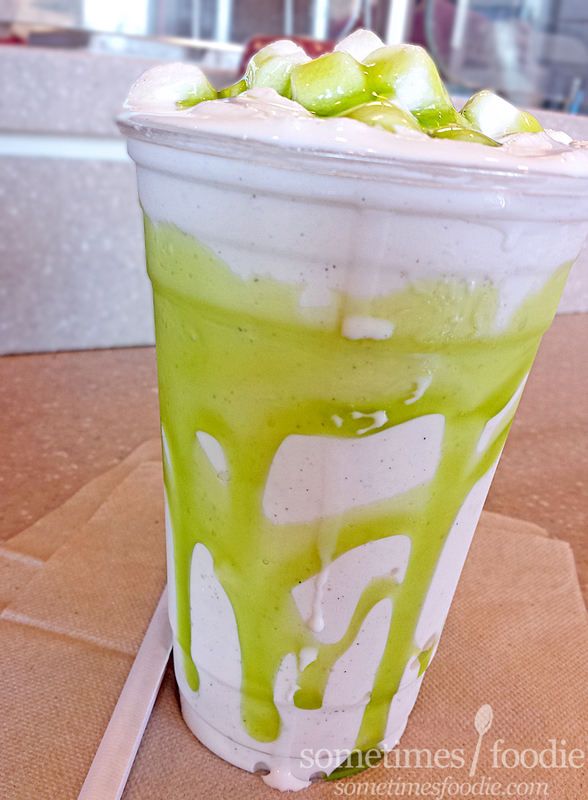 This is a vanilla milkshake made with marshmallow flavoring, green kiwi-lime-slime and topped with mini marshmallows. Visually, I could think of no better shake to represent the Ghostbusters, and thankfully it not only looks great, it tastes great! The marshmallow syrup really shone through the vanilla ice cream, and the added slime gave me a it of tanginess and tartness that prevented the rest of the shake from being overly sweet and cloying. The marshmallow toppers aren't straw-friendly, but they're a lot of fun (and messy) to pick off the top and eat as you plow through your burger. I am running on 3 hours of sleep and fistfuls of Halloween candy today, so on my way home from work I am stopping at Wayback burger to grab a second round of these goodies to take home for a lazy, but still Halloween-themed, dinner. (#meatlessmonday will just have to wait until Tuesday.) If you have a Wayback burger in the area, I highly recommend trying these items before they disappear.